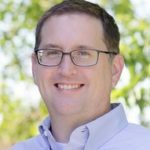 Neal Hutchens is a professor of higher education at the University of Mississippi. His research focuses on legal issues in higher education. He was the 2015 recipient of the William A. Kaplin Award from the Center for Excellence in Higher Education Law and Policy at Stetson University College of Law..
« Is Karl Marx Living at this Hour? Here’s your spot. Blather at will. Around the United States, state lawmakers have been talking about – and legislating – ways intended to protect free speech on college campuses. The Wisconsin State Assembly, for example, recently passed a campus speech bill that would require public colleges and universities to punish students who disrupt campus speakers. The legislation is now heading to the State Senate for consideration. As a higher education law researcher and campus free speech supporter, I view some requirements in these new campus speech laws as positively reinforcing legal protections for student free speech. However, I believe language in several pending state bills, including the punitive legislation proposed in Wisconsin, does more to impede free speech than protect it. In an effort to keep campuses safe and avoid disruption, some universities have restricted student speech and expressive activity – such as handing out leaflets or gathering signatures for petitions – to special speech zones. These “free speech zones” have been subject to criticism and legal challenges. In one illustrative case, a federal court invalidated a University of Cincinnati policy that limited student demonstrations, picketing and rallies to one small portion of campus. The U.S. Supreme Court, however, has not ruled definitively on the legality of designated student speech zones. Consequently, legal battles over their constitutionality continue, as shown by pending litigation involving a Los Angeles community college student who claims he was allowed to distribute copies of the U.S. Constitution only in a designated campus speech zone. Some states have recently enacted laws that prohibit public colleges and universities from enforcing such free speech zones against students. At least seven states have passed anti-speech zone laws: Virginia, Missouri, Arizona, Colorado, Tennessee, Utah and Kentucky. Public institutions in these states may impose reasonable rules to avoid disruption, but officials cannot relegate student free speech and expression to only small or remote areas on campus. Instead, they must permit free speech in most open campus locations, such as courtyards and sidewalks. Along with the pending legislation in Wisconsin, which also would ban speech zones, North Carolina, Michigan, Texas and Louisiana are considering similar legislation. 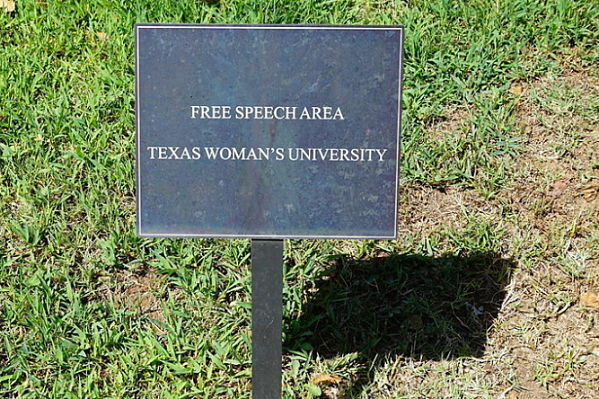 Striking down these “free speech zones” seems a sensible way to promote student free speech: In my opinion, institutions shouldn’t seek to restrict students’ First Amendment speech rights to strict borders on campus. If the Wisconsin bill passes in its current form, the state would do more than ban designated free speech zones. It would also become the first state requiring institutions to punish student protesters. The North Carolina House of Representatives has passed a similar bill, now under review in the State Senate, but this legislation seems to leave institutions more discretion over dealing with students disrupting speakers than the Wisconsin legislation. Much of the push for campus speech bills has come from lawmakers who believe that college campuses are hostile to conservative speakers. They point to incidents such as those involving Ann Coulter and Milo Yiannopoulos at the University of California at Berkeley as indicative of an overall resistance to conservative speakers on campus. Provisions in campus speech bills, including ones mandating penalties for students who disrupt speakers, can largely be traced to model legislation from the Goldwater Institute, based in Phoenix, Arizona. The group aims to correct what it views as a left-leaning bias in American higher education regarding campus free speech. In my view, forcing colleges to take punitive action against all disruptive protesters is troublesome. Such a requirement would mean that institutions would be faced with devising overly cumbersome rules for when punishment should or should not occur. But what counts as a punishment-worthy disruption? A more problematic outcome would be if free speech were chilled. Students might understandably refrain from speech and expressive activity based on fear of punishment, particularly if the rules around such punishment are necessarily vague and difficult to understand. Based on such concerns, the Foundation for Individual Rights in Education – an influential group that promotes, among other things, student free speech in higher education – has come out against this particular requirement in the Wisconsin bill. The American Civil Liberties Union has also expressed concern over the similar provision under consideration in North Carolina. The Wisconsin bill is described by supporters as intended to protect the right of campus speakers to be heard. However, it seeks to accomplish this goal in a way that undermines student free speech of all types. Hopefully, lawmakers in Wisconsin and in other states considering legislation will stick to workable measures that actually promote – as opposed to hinder – campus free speech. This entry was posted in Communication, Public Policy and tagged Academic Freedom, free speech, The Conversation. Bookmark the permalink. Trackbacks are closed, but you can post a comment.